The NFC playoff picture saw some big changes in Week 12. 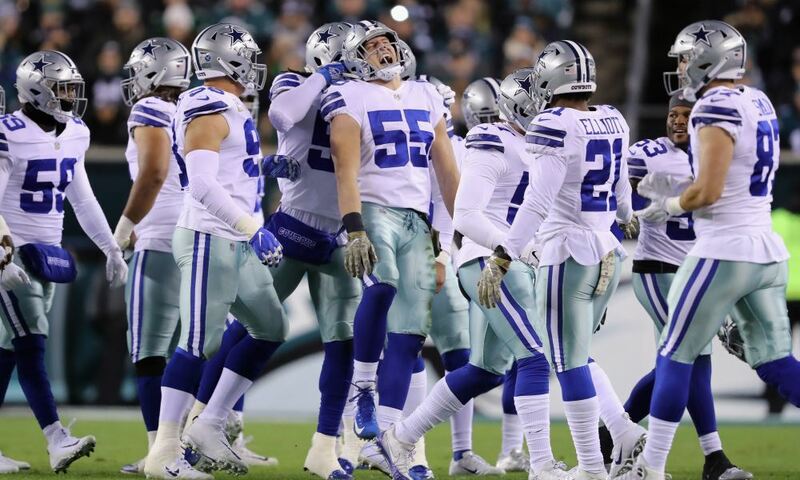 The Cowboys took control of the NFC East and Carolina suffered a major blow in their loss to Seattle. How will the games in Week 13 further impact the playoff standings? With their victory over Washington, Dallas now controls its own playoff destiny. If they run the table, they secure the division and a first-round playoff game at home. Moving forward, we're eliminating all teams with less than five wins from the discussion. It would take something pretty extreme for the likes of the Packers or Falcons to get into the playoffs now. The Saints are ahead of the Rams thanks to a head-to-head victory. The Cowboys are ahead of the Redskins thanks to a superior record in division games. The Redskins are ahead of the Seahawks thanks to a superior record in conference games. They are also ahead of the Panthers thanks to a head-to-head victory. The Seahawks are ahead of the Panthers thanks to a head-to-head victory. When they say that no games is meaningless in an NFL season, standings like this tell you why. The tiebreakers play such a big part in these seedings, especially for the pack of 6-5 teams. Dallas has played all three teams (Carolina, Seattle, Washington) this year. 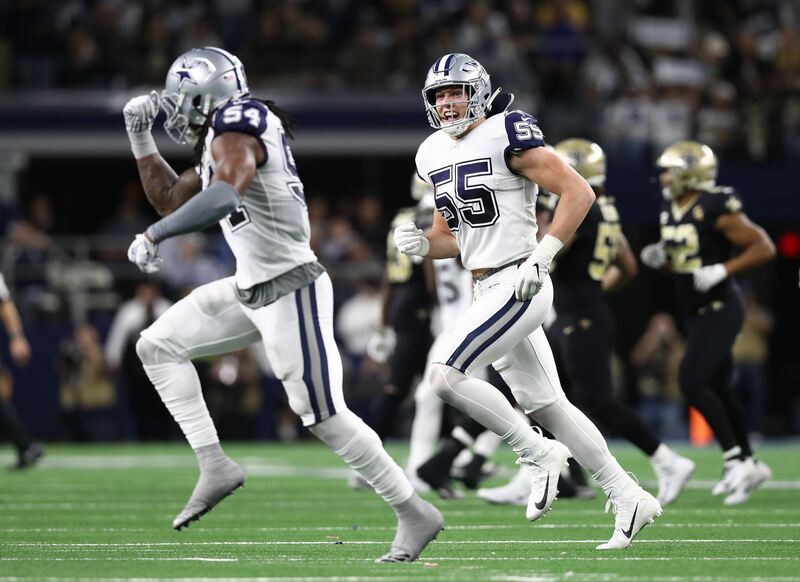 The bad news is that Dallas' three-game win streak is about to be threatened by the best team in the conference, and perhaps the entire NFL. The good news is that a loss here probably won't hurt the Cowboys too much in the NFC East race. Even if they lose to the Saints, Dallas will move to 6-6 but maintain their 3-1 record in division play. If the Eagles beat the Redskins next Monday night, as they should, then they would have the exact same overall and division record. In week 14, the Eagles have to come to Dallas. The Cowboys will have an extended break from their Thursday night game to rest up, while Philly will have a short week coming off Monday Night Football. It sets up well for a Cowboys win to retake full control of the division. Naturally, we're rooting for the Cowboys to pull off the big upset win this week. If they do, Dallas will be riding some serious momentum into their December schedule. We've already looked at the scenario if the Eagles win. If it's Washington, that would allow the Redskins to retake division control in the event of a Cowboys loss. If both Dallas and Washington win, the Redskins' improve their record in NFC East play to 3-1. That would pull them even with the Cowboys in the two most important areas for division standings. It's an interesting debate, really. 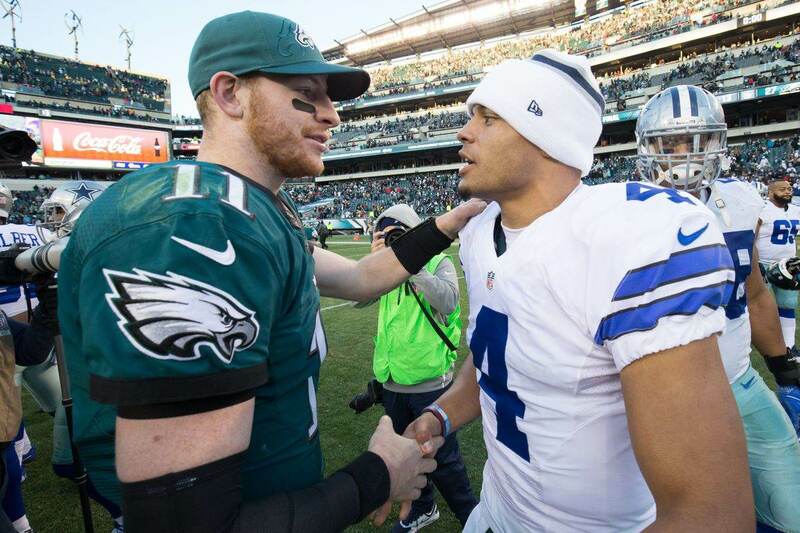 Do the Cowboys benefit more from an Eagles or Redskins loss? You might say Philly based on current standings, but keep in mind that one team has Carson Wentz and the other has Colt McCoy the rest of the year. 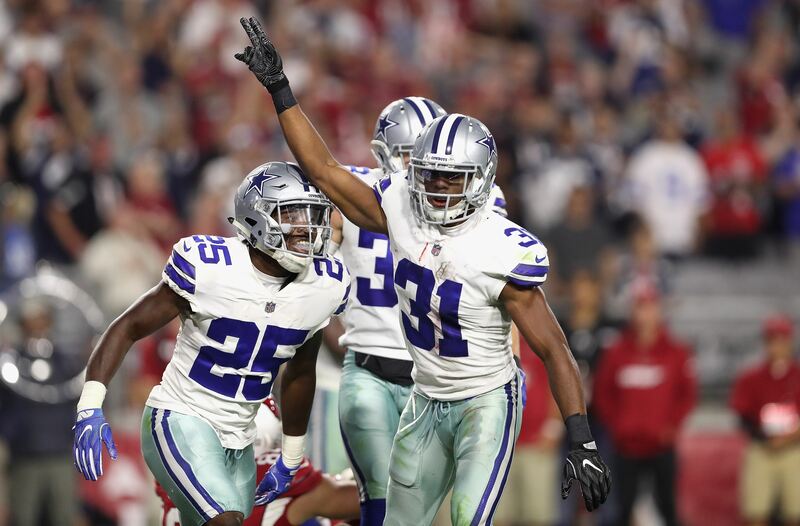 Who really is Dallas' biggest threat to the division title? Stay tuned for a full breakdown of that question later this week. In terms of the playoffs, there's no real benefit to the Giants losing. They're not a factor in the NFC East at this point, so you might assume we want the Bears to lose for potential seeding impact. However, do we really want the Giants improving their chances at landing the top pick in the draft? The Bears' playoff seeding probably doesn't effect Dallas too much at this point, so I'd almost rather see New York win and hurt themselves in trying to get their QB of the future. The Lions are at 4-7 and no real threat at this point. Even though Dallas would have a hard time catching the Rams for a first-round bye, it's still mathematically possible. A Detroit win would at least give the Cowboys something. Carolina is tied with Dallas in overall record and has a head-to-head tiebreaker. If the Cowboys end up needing to make the playoffs through a Wild Card spot, we need the Panthers out of our way. Therefore, a Carolina loss to the irrelevant Bucs is clearly in Dallas' best interest. Again, the Vikings are a potential threat to our Wild Card chances and they're going up against an AFC team. The desired outcome here is obvious. One more time! The 49ers aren't a threat, but the Seahawks definitely are. They also have a head-to-head tiebreaker, so like the Panthers, we want them to drop in the Wild Card standings. Go Niners!